Another new appearance of our creations of curtains in the sets of great movies. 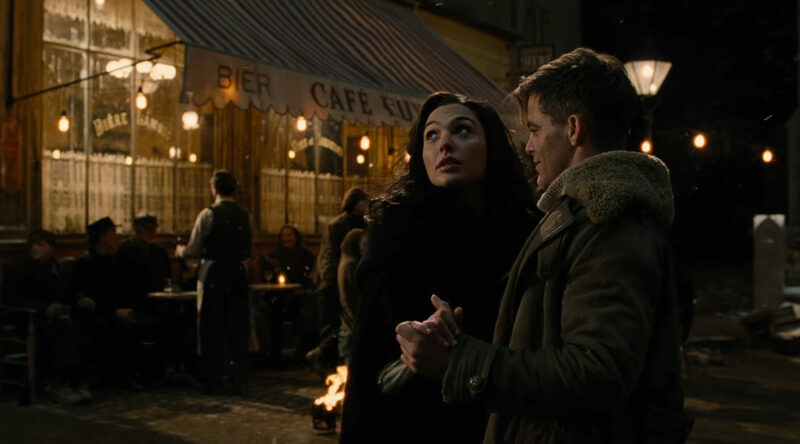 After the film “Dunkerque” by Christopher Nolan, we made the curtains of several decors of typical French cafes of the early twentieth century in the movie “Wonder Woman” released 2017. 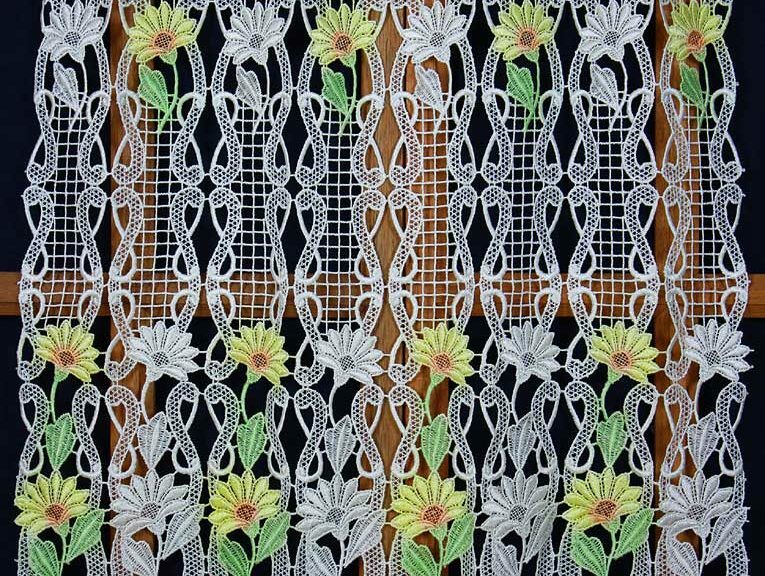 They are models macrame curtain "Floral". 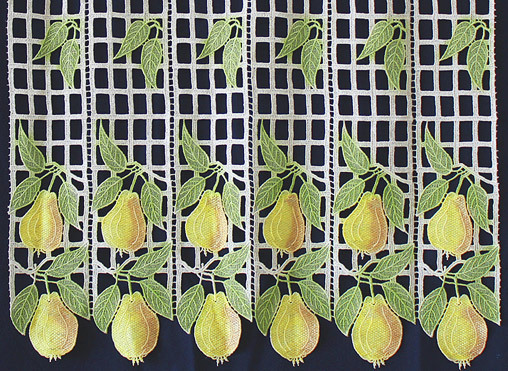 and macrame curtain "Victoria". New ! 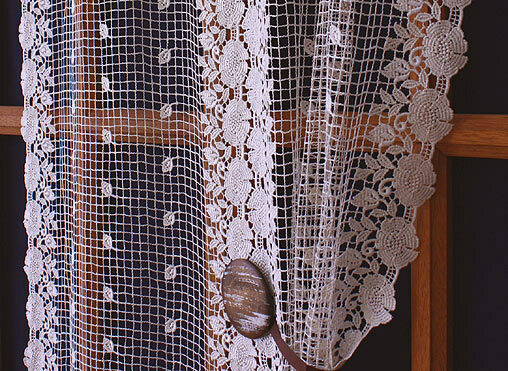 Macrame Lace offer an original curtain for your bathroom or villas and beach houses. 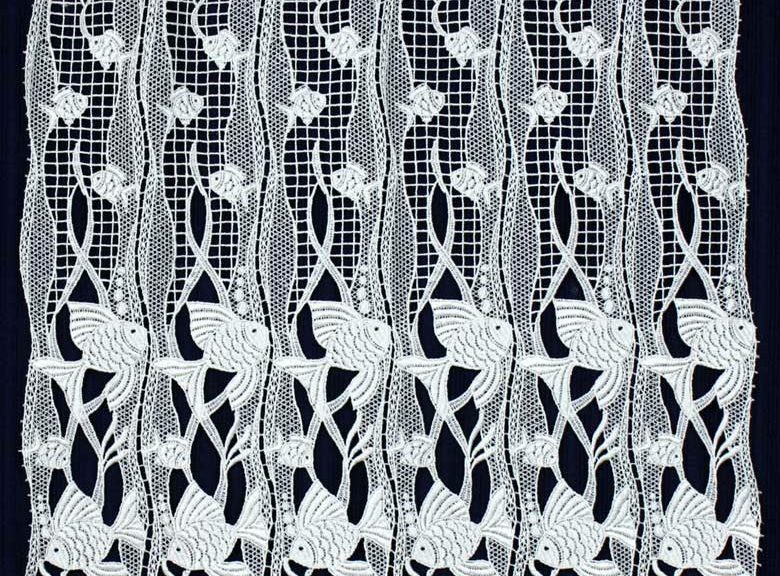 It is a lace cafe curtain representative of pretty little fish. It is available in white or ecru in 12 or 24 inches height, custom width. Direct from French manufacturer, outlet prices. A new original collection of customizable curtain is now available on our webite. You can give them the shape you wish, with tie back, rounded with ribbon or straight. 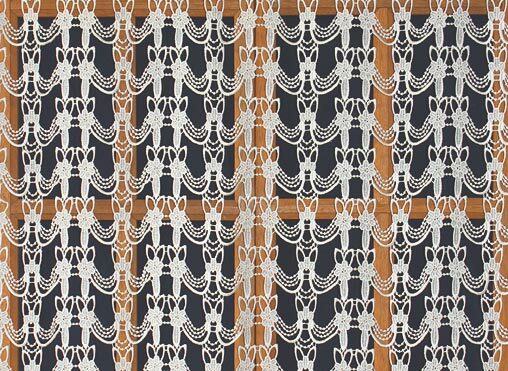 Learn more by visiting the product page Lace curtain “Romance”, Lace curtain “Julia” and lace curtain “Tournesol”. What is the best solution for my window ? 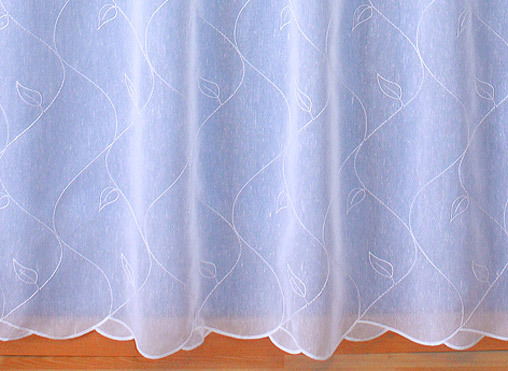 the choice we offer is wide : Tier curtain, cafe curtain, lace curtain, sheer curtain ? Which size ? 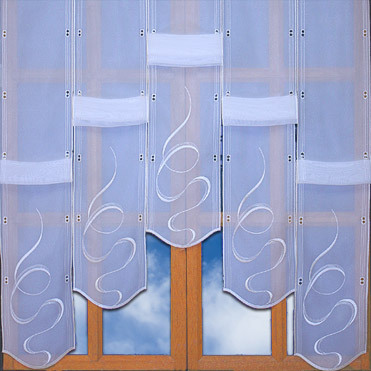 You will find many informations posted on this page: How to choose my curtain ? Unique and new ! 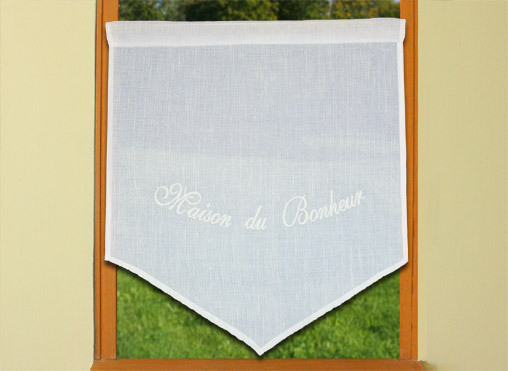 Imagine the name of your house or initial on your embroidered curtain… This curtain made of ployester and linen is available in custom size in white or ecru. 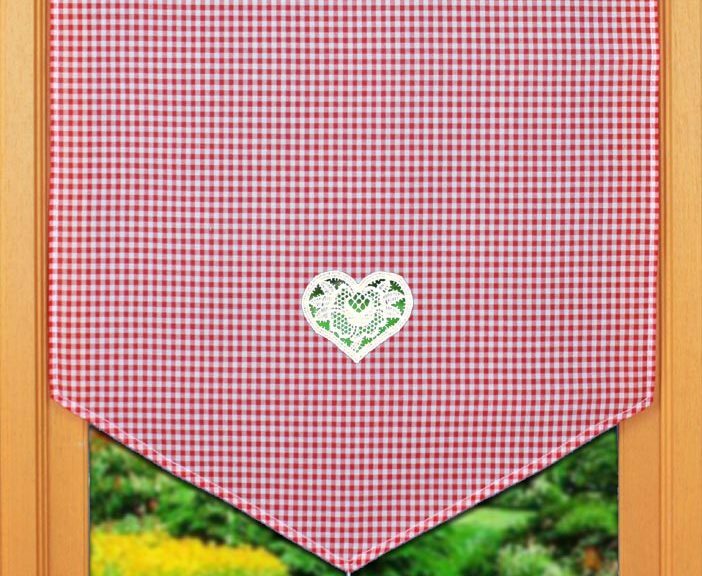 More informations on this page : Customisable embroidered curtain. 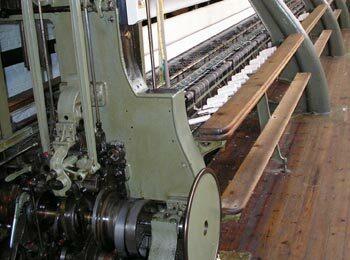 We propose a new type of finish on our custom sheers. Some models are available with a net curtains finish with three grommets colors available: Gold, dark gold or dark silver. 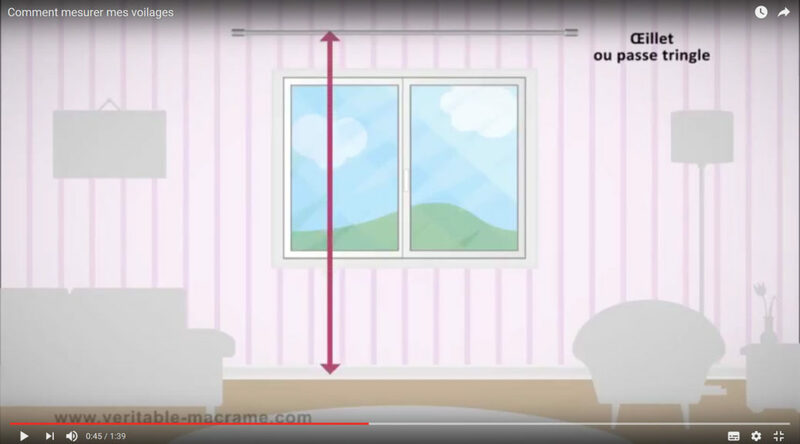 More informations on this page : Sheer curtains measuring guide. 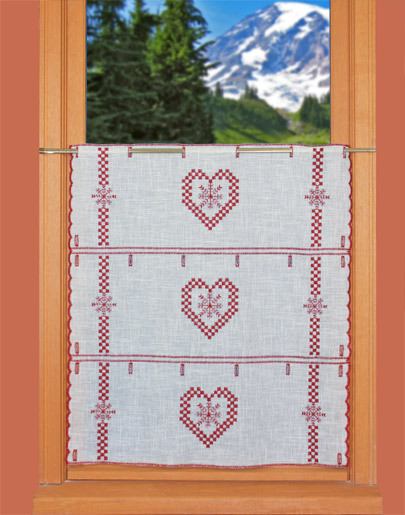 New in our macrame curtain catalog : A very original open work macrame lace curtain. Available in custom height in five differents widths. 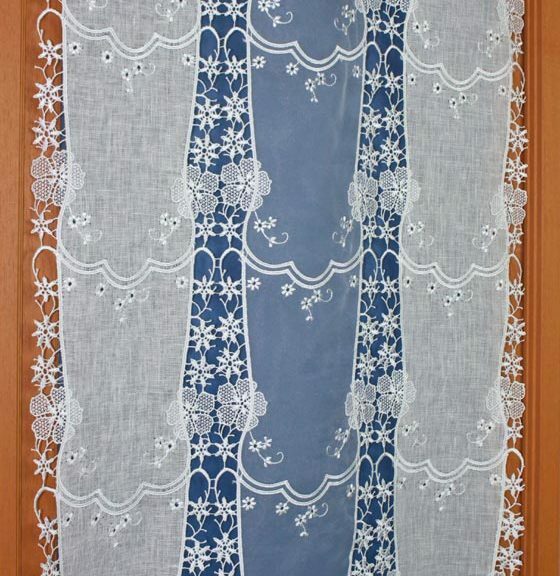 Short sizes are available at this page : Lace cafe curtain Laura bigger sizes are available at this page : Macrame Lace curtain Laura. 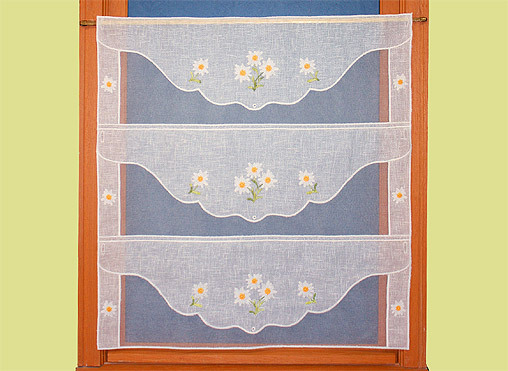 New in our tier curtain catalog : A pure lace linen curtain with delicate yellow orange embroidered flowers. Available in custom size and two differents shapes ! 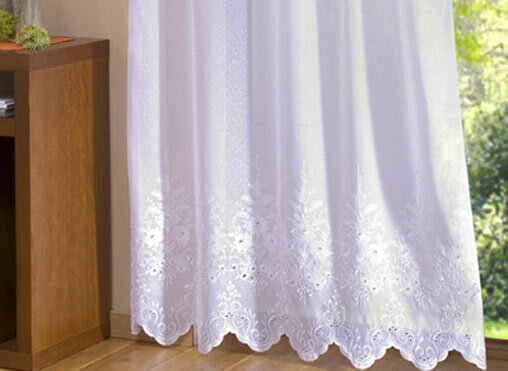 learn more to product page : Lace curtain Campagne. The family business celebrates its 80 years ! 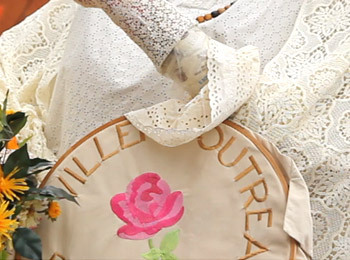 “Macrame Lace” have now a blog ! 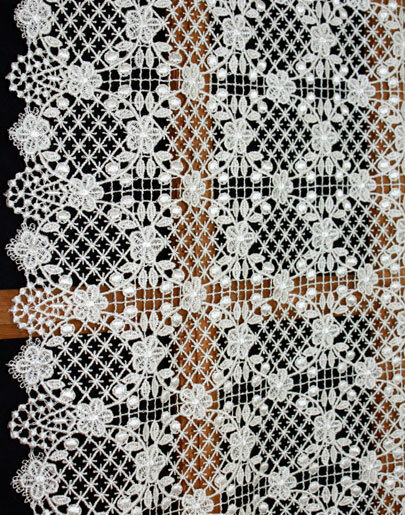 “Macrame Lace” create a Blog, you will find on this page all of our news, the new patterns and promotions, visit it regulary. We add to this blog the Facebook web page.